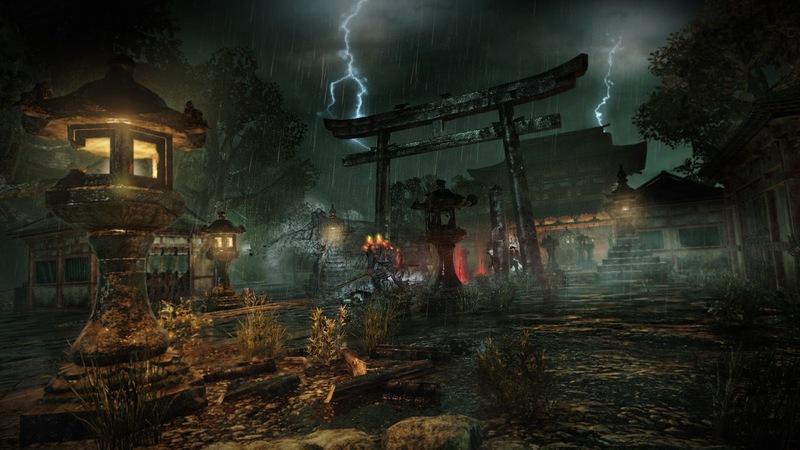 Nioh: Last Chance Demo Impressions. Or More Precisely, Why I'm Throwing Money At This Game. In a bout of good fortune, I managed to have some free time during the Nioh: Last Chance timed demo. I'm surprised at how much I enjoyed playing through Nioh. My circle of friends enjoy playing the Demon/Dark Souls + Bloodborne line of games and I would enjoy watching them play. Of course, seeing my friends play would motivate me to try to pick up that game. Unfortunately, I would not enjoy it on my own as much as they did. That is, until I gave the Nioh demo a shot. I enjoy everything the Souls games are about, as action-adventure games are my jam, but having the desire to play them is a different matter. 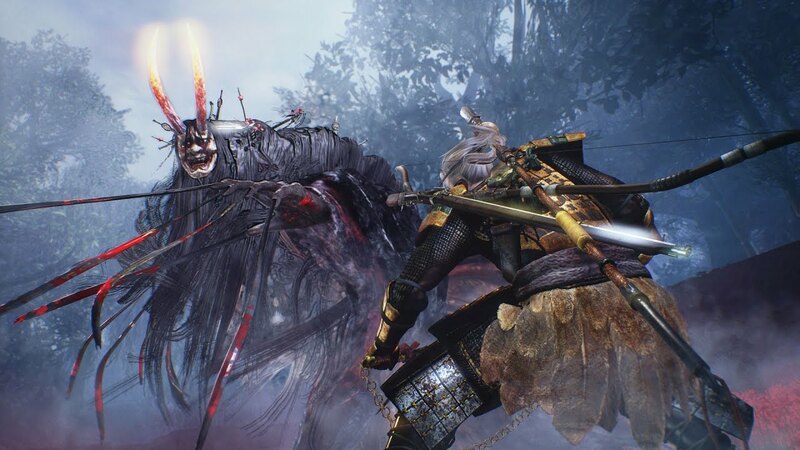 Assuming nothing else changes from this "final demo" and the release of the game, I found three things that made me interested in playing Nioh: Environment, Combat and Progression. As a warning, my only contact with the Souls series is Dark Souls 1. I'll stay away from making comparisons of Nioh and DS1 because three additional games of that series have been made since I've last played. My gripes with DS1 could have been fixed in Dark Souls 2/3 or Bloodborne. 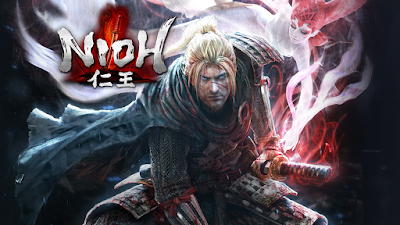 I heavily enjoyed the Japanese setting of Nioh. There's something lingering from my boyhood on how cool it is to play as a samurai or ninja fighting Japanese monsters. I've grown up with watching movies and shows about all of this, so it's always exciting to play it out. Gameplay wise, I like how you have stages to play through instead of an large, interconnecting world. I might be thinking long term but it would be nice coming back to the game after taking a break and not have to worry about how you're going to get to this area and such. You can simply choose on your map the area you want to start from and being your journey into the game. In fairness, this is partly because I have a bad habit of getting lost, especially when playing Metroidvanias. Makes life easier on me when I want to take an extended break from a game. The downside is, I noticed when I played a stage I had already cleared, my shortcuts were reset. Which seems fair, I know I would try to abuse this by rushing to the boss and defeating them as quickly as I can for mission clear rewards. Nioh's combat has a certain flow to it to me. What I feel makes it unique is both the stance system and your management of ki, this game's stamina bar. Counting your sheathing "stance, there four difference stances you can take with a weapon: "High","Mid" and "Low" stance. Each stance as its pros and cons. High Stance deals slow, but powerful blows that can easily be interrupted. You acquire a high damage output in exchange for poor defensive abilities (dodging and blocking) and heavy stamina/ki consumption. In contrast, Low Stance is very defensive, you dodge quickly and your blows are quick with a small ki consumption. In exchange, your blows do not have as much power to them. This stance is good for focusing on evading enemies and interrupting their attacks. Mid Stance is a balance of offense and defense. Unless I am mistaken, there was an emphasis on blocking skills that could only be used while in Mid Stance. 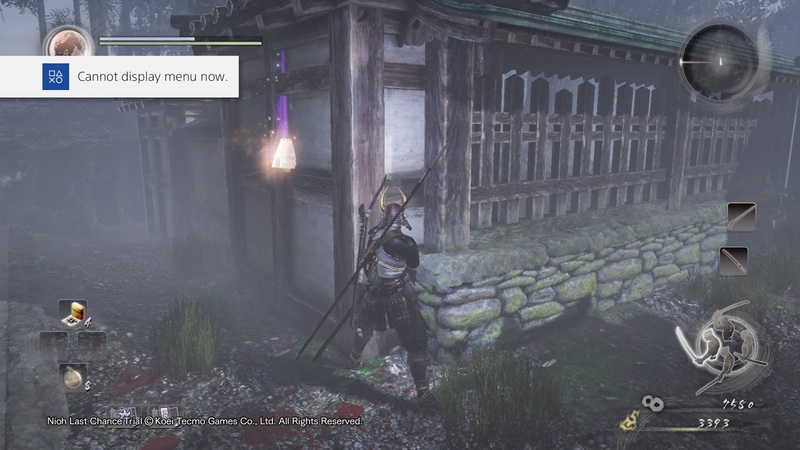 Nioh's "stamina" mechanic is quite interesting. After an attack, you can perform what is called a "ki pulse" to instantly regain your stamina/ki meter. The amount of ki you recover depends on how well you time your ki pulse. In a way, it is similar to the Gears of War series' active reload with the exception is you were not penalized for mistiming a ki pulse. It should me mentioned that monsters, even bosses(The Ogress and Muneshige Tachibana) had their own ki meter. Monsters/enemies consume ki when they attack and like the player, will be stunned for a brief moment if they run out of ki while attacked. Combined with certain skills, you can switch between stances and perform a ki pulse, opening up the possibility to combo enemies to death after draining their ki. I feel this has the potential to make combat quite interesting to watch as the individual dances between the stances to inflict as much damage as they can to their opponent. I should mention there also is a "super mode" your character can enter called "Living Weapon". I don't quite understand how it works but I believe you fill up the gauge (next to your health and ki bar, looks like a medallion) when you collect amrita/souls. Should you die, the guardian spirit will be in that spot waiting to be reclaimed, similar to bloodstains. You can also recall your guardian spirit at a shrine at the cost of abandoning your lost amrita. When you activate your "Living Weapon" your spirit becomes one with your weapon and you enter a state of invulnerability. You can unleash a series of elementally charged attacks in this mode, based of your spirit and any damage you take will decrease the amount of time you can spend in Living Weapon mode. I did not take advantage of this until the later half of my playthrough but it helped push past a stubborn monster and helped secure the killing blow on the boss. Man,this screenshot still pains me. I really needed better pants than what I currently had equipped. Perfect for the final aspect I'm touching on: Progression! 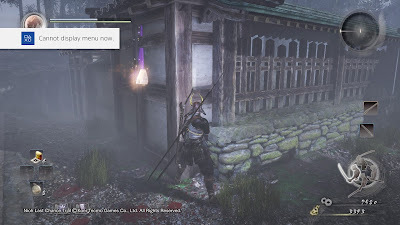 I loved how Nioh handled finding equipment, as I am a huge fan of the Diablo series. Equipment randomly drops from enemies and chest. It should be noted you can fight AI controlled human enemies called Revenants and they have a chance of dropping their gear. Revenants can be summoned from a "bloody grave" and are fallen players or pre-determined geared characters. Gear is assigned rarity and from lowest to highest rarity it goes yellow to blue to purple gear. The higher the rarity, the better the quality of item/number of stats on the item. Much like the Diablo series, equipment can roll with different stats. This is in contrast from Dark Souls 1, where you can find weapons from chest or dropped from enemies and their values will be static. To be fair, I think I enjoy this system so much in Nioh is because there were no stat requirements on the weapons during the demo. As for armor, if you did not have the proper stats to equip the armor you were wearing, you would not receive the passive benefits from the armor. 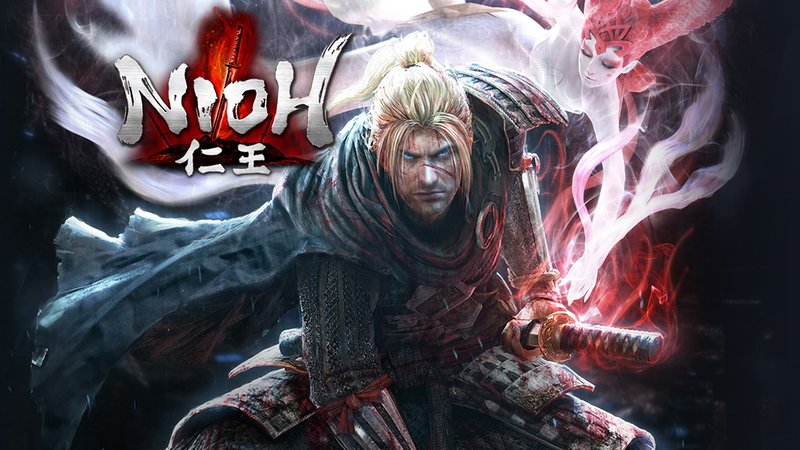 I don't typically play the genre but the Nioh demo has me really excited to dive back in. Some of what I liked may have been because it is the demo build of the game but it has be curious enough to try the full game. Aside from being excited about the setting in Feudal Japan, the combat looks promising with how fast it flows and the management of ki. Paired with the loot grind style of acquiring gear, I see this game has the potential of stealing all of my free time.